Well done to our award winning team. Award winning DX'peditions like ZL9HR ,VK9HR, VK9IR and small contests we just want to enjoy and awards like this make the hard work worth it. Bare Island 2014 QSL cards printed and cards already started posting.Thank you to Tony LZ1JZ for design. The ZL9HR DXpedition team with the Captain and Crew of the 'Evohe' have donated the surplus dxpedition unleaded fuel and 20L plastic fuel containers to the NZ Child Cancer Foundation. The NZ Child Cancer Foundation has raised $1,100 through the sale of these donated items. 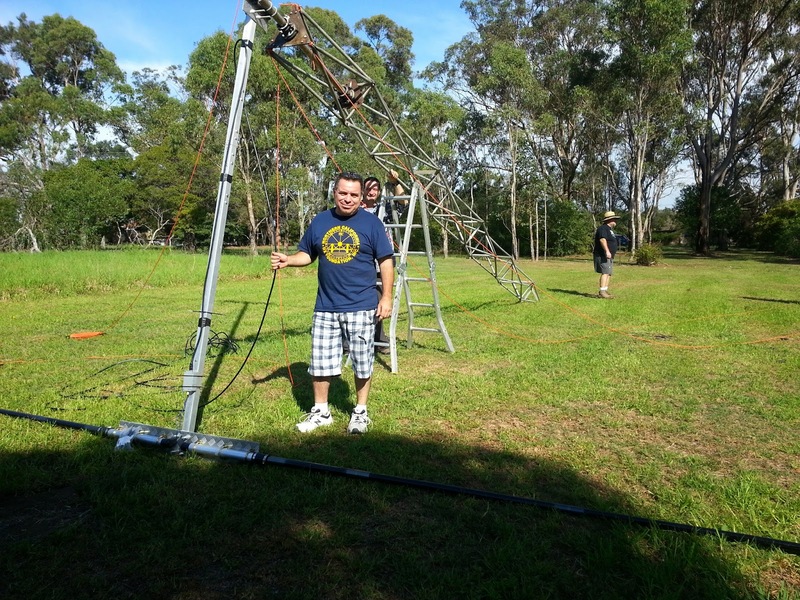 The HARAOA team setup a portable station for the John Moyle Memorial Field Day. 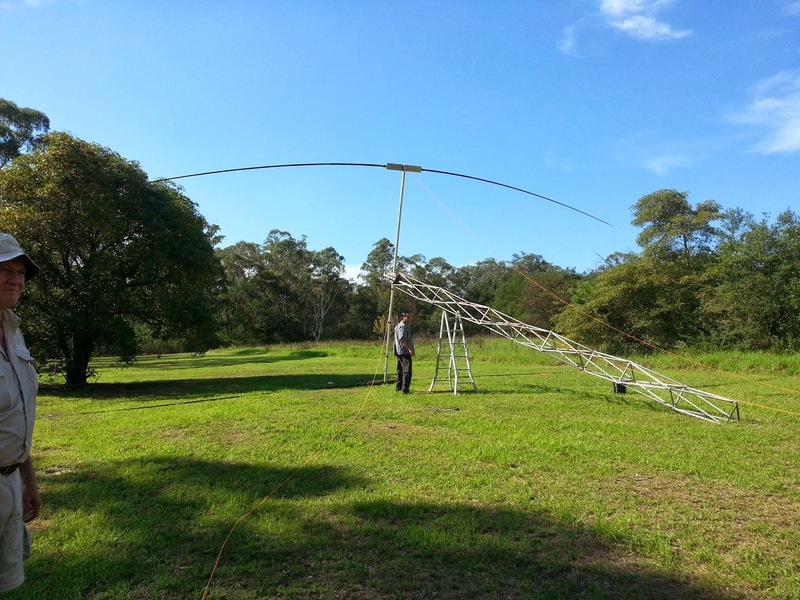 The Field Day was held over the weekend of the 16 - 17 March, 2013 and ran from 0100 UTC on the Saturday till 0059 on the Sunday. The HARAOA team has received 2nd place award for Multi-Operator, Phone Only, HF operation. John VK3YP (Co Leader) and Tommy VK2IR (Team Leader) organisers of the ZL9HR November 2012 Campbell Island DXpedition. 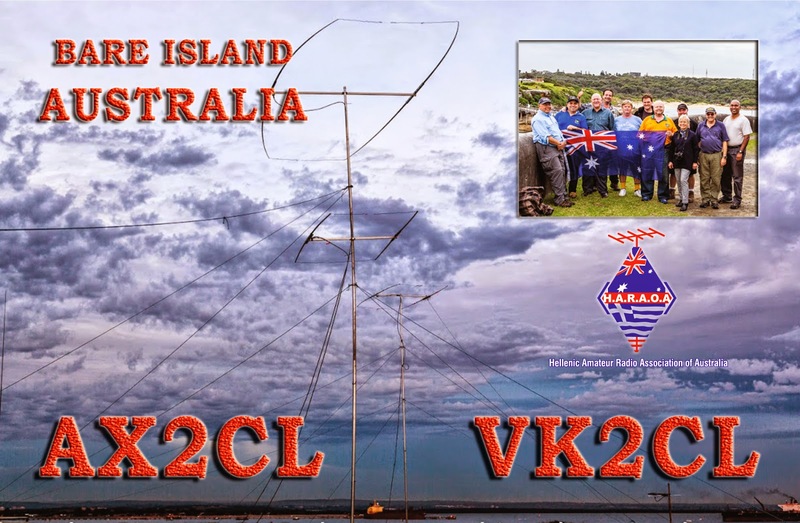 The biggest DXpedition organised by VK Amateur operators since the 1983 Heard Island DXpedition by Jim Smith VK9NS. 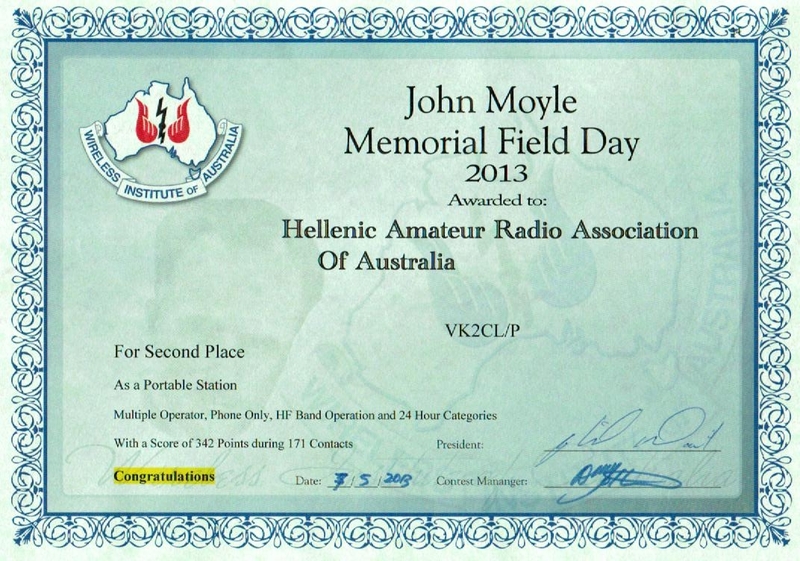 The planning by the Hellenic Amateur Radio Association of Australia for the DXpedition to Campbell Island, New Zealand (OC-037), scheduled for November 28th to December 9th 2012, began in early 2012. ZL9 Campbell Island was last activated in January 1999 as ZL9CI lead by Ken Holdom ZL2HU and Lee Jennings ZL2AL. ZL9 is currently ranked number 13 on the DXpub most wanted survey (updated on January 8th 2013). ZL9HR Team Leader Tommy Horozakis VK2IR (HARAOA President) and Co-Leader John Chalkiarakis VK3YP (HARAOA Treasurer) began the long process of organising the necessary callsign licence, NZ Department of Conservation and NZ Bureau of Meteorology permits, the charter of the sailing vessel ‘evohe’, operating equipment, antennas and logistics. This was extremely time consuming taking many hundreds of hours of hard work including the assistance of the HARAOA club members with such activities as fund raising for the purchase of the Kenwood TS590S radios and SPE Amplifiers and the building of the shipping containers for the transport of the equipment to New Zealand. The long and careful planning and preparation paid off with a smooth and trouble free operation. The aim was to put together an international team of operators and thus a general invite for operators was posted on the Internet. The operators where accepted on a first come basis. 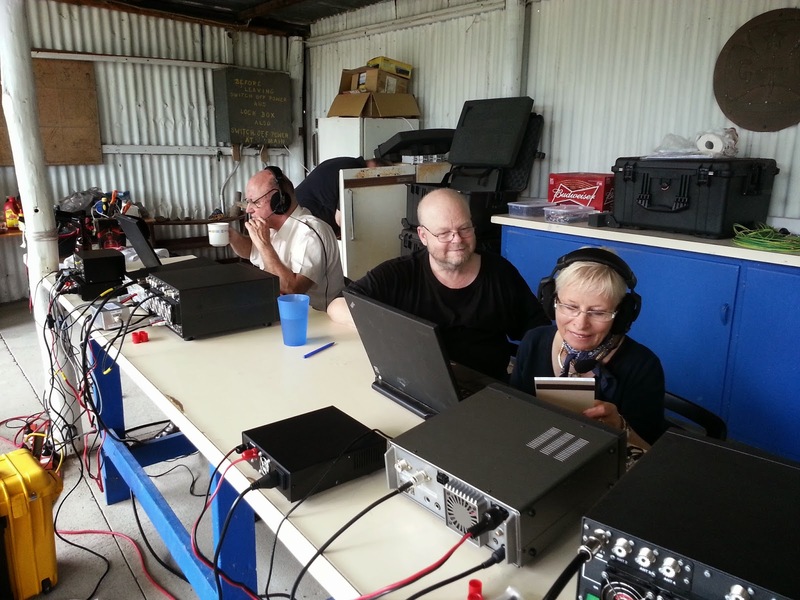 While all the operators on ZL9 where very well skilled in radio operation a couple of the operators where not exactly team players during the DXpedition and would not follow the team leader’s instructions. A lesson well learned and in future and we will conduct reference checks and vet our operators more carefully. We were delighted to have David EB7DX as the QSL Manager and webmaster for ZL9HR. David EB7DX was most recently the QSL Manager for the HARAOA VK9HR Lord Howe Island operation in 2011. The first major milestone was the approval of our landing permit by the NZ Department of Conservation in July 2012 followed by the shipment of our all equipment in 3 large containers via ocean freight to NZ which all arrived safely well ahead of schedule in October 2012. The entire team flew into Invercargill NZ arriving by Friday 23rd November, with the NZ Department of Conversation (NZ DoC) quarantine and briefing process being conducted over the weekend on Saturday and Sunday. The DoC required an inspection and quarantine of all our equipment and personal gear to insure that no foreign seeds, plant matter, insects, or rodents were inadvertently carried to the island and introduced into the recovering eco-system. All gear was unpacked from the shipping crates during the inspection process. Individual containers, boxes, radio cases, and plastic tubs were opened for inspection by the DoC staff, and then once inspected were re-packaged and sealed by use of plastic tubs or large plastic bags. There is a very good reason why this careful quarantine process is necessary - In June 2001 a team of 19 people including pilots, eradication experts and staff who had spent several years working on the island, headed south to Campbell Island. They took with them everything they would need for three months on the island, this being the time estimated that it could take to get the weather required to spread the rat bait. It ended up being a relatively mild winter, by Campbell Island standards, and the drop was completed in just less than one month, with no injuries or major incidents. In total, 120 tonnes of cereal rat bait, containing the anticoagulant toxin Brodifacoum, were spread across the island using four helicopters (three spreading bait and one ferrying the bait up to selected loading sites). By the time the project was completed it had involved DOC staff and contractors, the Royal New Zealand Navy, the Royal New Zealand Air Force, the Met Service, four helicopter companies, two shipping companies and numerous other people and agencies who provided their time and expertise and an approx. cost of $2 Million dollars to make Campbell Island rat free. In 2005, after several checks including using specially trained dogs, Campbell Island was declared rat free. This has been the largest successful rat eradication conducted worldwide. On November 26, the team left for Campbell Island from the port city of Bluff NZ which is a 35 minute drive from Invercargill NZ. The 25 meter long expedition yacht ‘evohe’ was the vessel chartered for this trip. Prior to leaving the wharf at Bluff NZ, the ‘Evohe’ Captain Steven Kafka was receiving the latest updates of the weather and sea conditions between Bluff and Campbell Island. It was determined that with conditions of 80 km/h plus winds, and nine to eleven meter high seas, we would travel no further than Stewart Island and weather the storm in the safety of a large embayment named Port Adventure. This was a very wise decision by the Captain of ‘evohe’ as any injuries sustained in attempting such a rough voyage would have resulted in us sailing back to Bluff NZ and the DXpedition being cancelled. After approximately two and half days, we were again sailing towards Campbell Island. Captain Steven Kafka warned us that the seas were still very rough and that we could expect a very bumpy ride while sailing through the remnants of the major storm. The swells were expected to be quite severe, with the worst being five to six meters. It was a rough trip and a reasonable amounts of buckets where used. On the morning of November 30th, dropping anchor at Perseverance Harbour, Campbell Island the MET station buildings at Beeman Hill came into view. It was at this point that we had finally arrived at Campbell Island and all that was left to do was setup and start operating. Not wasting any time we had a quick breakfast and the first team was dispatched on the zodiac inflatable boat along with the first of many batches of equipment safely landing on Campbell Island. The crew of the Evohe was an immense help in assisting us with the setup (and pack up) of all the equipment and antennas. Without the ‘Evohe’ crews valuable assistance we would have spent less hours operating. The first couple of stations along with many antennas where up and running by the afternoon, the following day we setup the remaining stations and antennas. 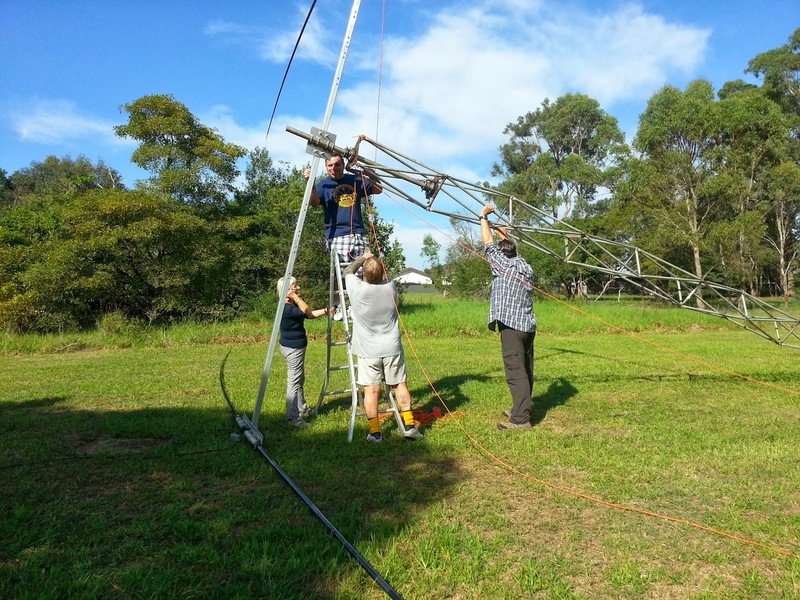 Since we had lost three days of operation with the weather delays travelling to Campbell Island it was decided that we would not setup the 40M Moxon and rely only on the 40M Vertical (which worked very well) and in addition the 6M station would not be setup. We had a total of six stations comprising of 3 SSB and 3 CW stations. There was 4 Kenwood TS590S with 4 SPE 1K Amplifiers and 2 Elecraft K3’s with Elecraft KPA500 amplifiers. The 2 Electraft K3’s and 1 Kenwood TS590S where used for the CW stations. The SSB and CW operations each had their designated location inside the MET main building, with the SSB stations located in the old recreation room of the MET building, and the CW stations located in the dining area of the kitchen. There was a very nice pool table in the main recreation room of the MET building but unfortunately the pool table cover was not removed and not a single game was played as we were all busy operating, eating or sleeping. All of our equipment worked flawlessly without any problems. 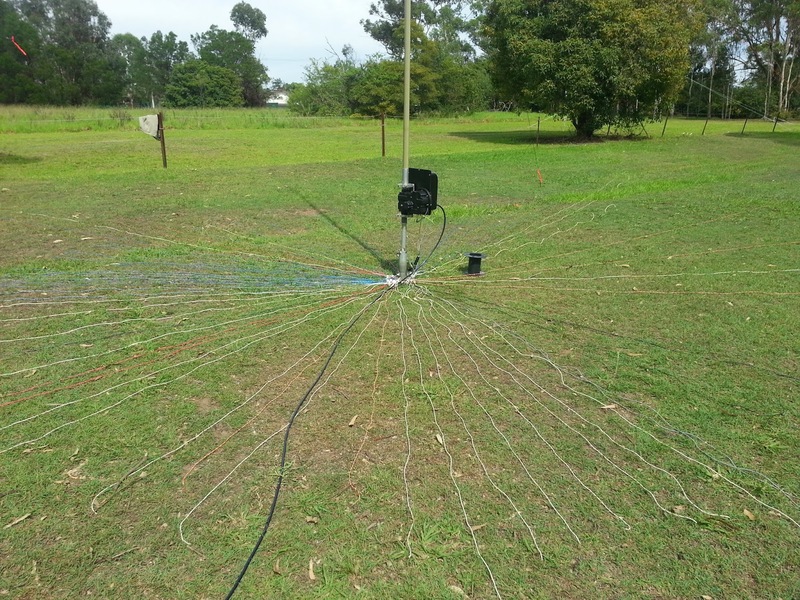 Our antennas all worked very well with strong performance all round. To counteract any potential problems we had taken with us spares of just about everything including two spare generators. Fortunately none of the spares where required. After our first day of operating the logs where uploaded via Inmarsat satellite terminal to our QSL manager and placed on ZL9HR and Clublog websites. Understandably, ZL9 is a very rare activation and with this the DX Code of Conduct seems to be ignored by many - The behaviour in the pileups was not the best especially from the EU and surprisingly the JA operators with the North American operators best behaved overall. 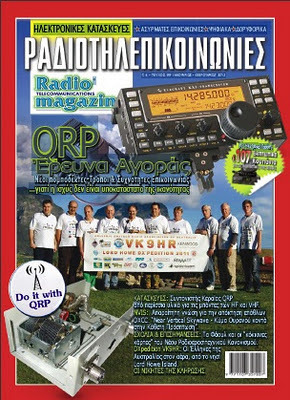 The ZL9HR DXpedition team of Tommy VK2IR, John VK3YP, Les W2LK, Dave K3EL, Don VE7DS, Glenn KE4KY, John 9M6XRO, Gene K5GS, Pista HA5AO and Jacky ZL3CW realised 42,922 contacts during an eight (8) day operating period. All QSL ing for this DXpedition is via David EB7DX. This DXpedition to ZL9 Campbell Island will most likely be the last as the old MET buildings contain asbestos and are deteriorating and with no tent operation being allowed due to the many sea lions on the island. To all the ZL9HR team and most importantly to the NZ Department of Conservation, the Captain and crew of the Evohe, corporate, DX foundation sponsors and individual sponsors we thank you for your support of the HARAOA team to deliver another successful DXpedition. Stay tuned for another HARAOA DXpedition soon. HARAOA will be holding another BBQ Fundraiser at Bunnings to raise funds for the club. The funds will be used for purchase of a Kenwood TS-590S and SPE 1K-FA Amplifier for the club. 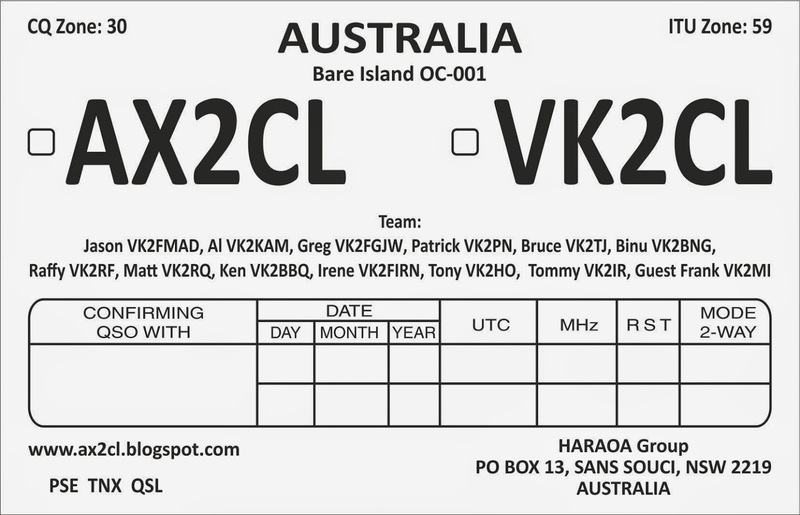 The HARAOA team of Tommy VK2IR and John VK3YP along with eight international operators have just completed the ZL9HR Campbell Island 2012 DXpedition with a total of 44,000 QSO's in the log. The ZL9HR DXpedition (ranked 15 on the most wanted DXCC list) is set to become the best DXpedition of the year. 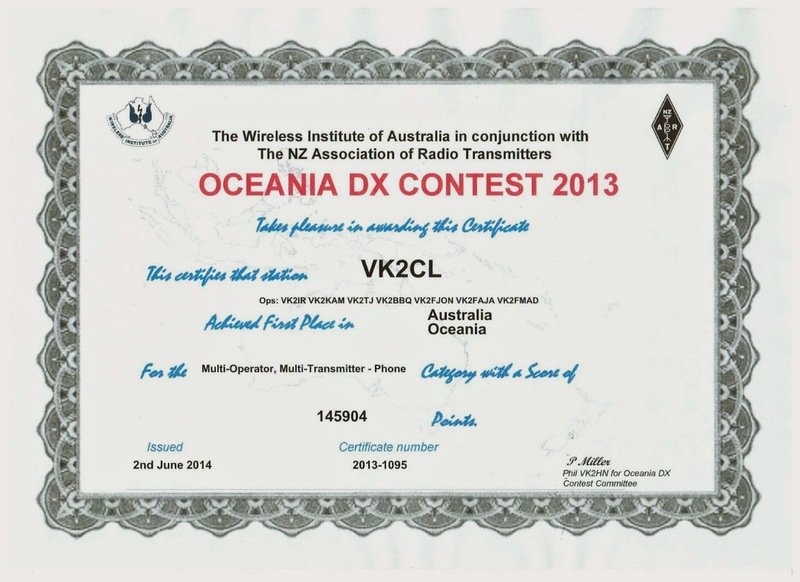 The HARAOA team has won the RSGB award for the VK9IR Lord Howe Island 2011 operation. 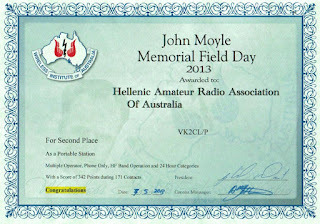 The HARAOA team has won 1st place for the 2012 160M VK Trans Tasman Contest with the club call of VK2CL. HARAOA in co-operation with the CCARC will be participating in this years ILLW between 18th and 19th August 2012 at Nobbys Head Lighthouse NSW. 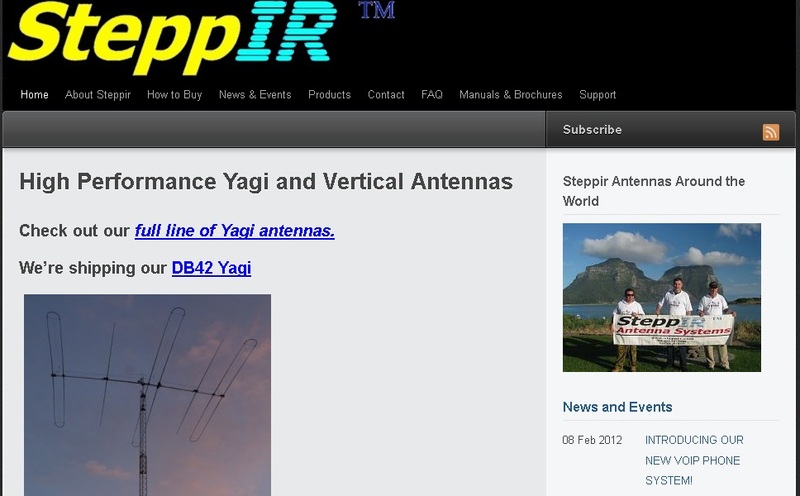 The HARAOA DX Team is preparing for it's next major DXpedition in 2012 to ZL9 Campbell Island New Zealand (OC-037) after the VK9HR Lord Howe Island DXPedition in July 2011. 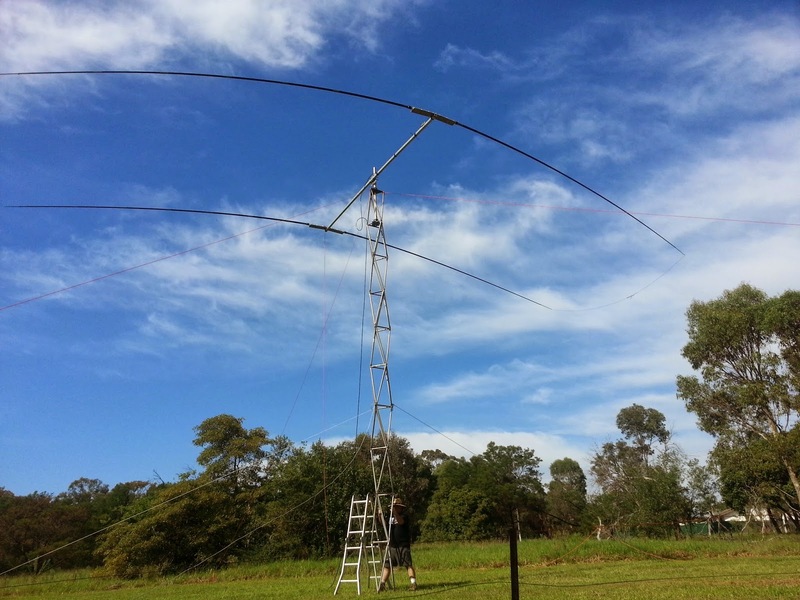 The HARAOA DX Team will be using a total of four Kenwood TS590S radios, four SPE linear amplifiers and a complete set of high performance monoband antennas for the HARAOA ZL9HR Campbell Island New Zealand DXPedition in November 2012.